I love teaching drama and acting and I love the summer schools we have offered over the last 10 years at Mel@drama, but this year I wanted to offer something a bit different as well. I am proud that we are an acting school with a social conscience, but if that’s true I should also be offering affordable summer childcare for ALL the kids – not just the ones that love drama and being on stage performing. What about the kids that don’t particularly love getting up and performing, that aren’t really into a week long sports camp while us parents have to work during the 6 week summer holidays? For these kids and parents/carers we have a summer school that’s affordable and a little bit different. 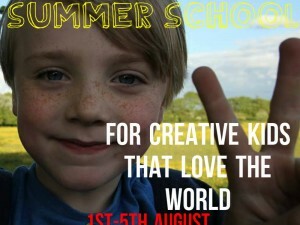 ALL YOU NEED IS LOVE is a creative summer school that gets the kids thinking and learning about the world. Each day the kids will take part in creative activities that focus on the world and how our next generation of creative explorers can make the world a better place. Taking our inspiration from my latest kids show ‘Around The World in 80 Notes’ we will learn about different countries through games, debate and creative writing and art. The week will end with a presentation of the kids work as an exhibition. The school will run from 9-3 at St Josephs Catholic High School in Horwich and the cost is £12.50 a day or £60 for the week. To book a place call Mel on 07789004062 and discounts are available for siblings.